Handmade Euro sized 26 inches square pillow shams with hand crocheted hot pink edging. The crochet was made by a skilled lady in South Alabama😊. Beautiful girls bedding accents. 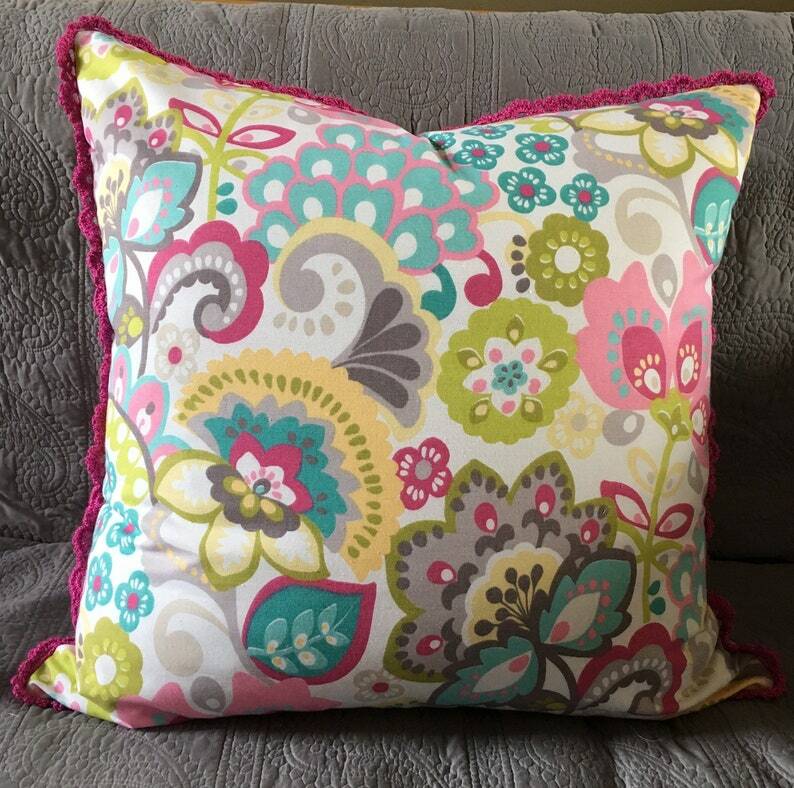 Yellow, aqua, pink, grey floral on white background on both sides of these pillow covers with invisible zipper closure. 2 available. Machine wash cold delicate cycle, air dry, and iron on cotton setting. Feather Euro inserts available in separate listing.